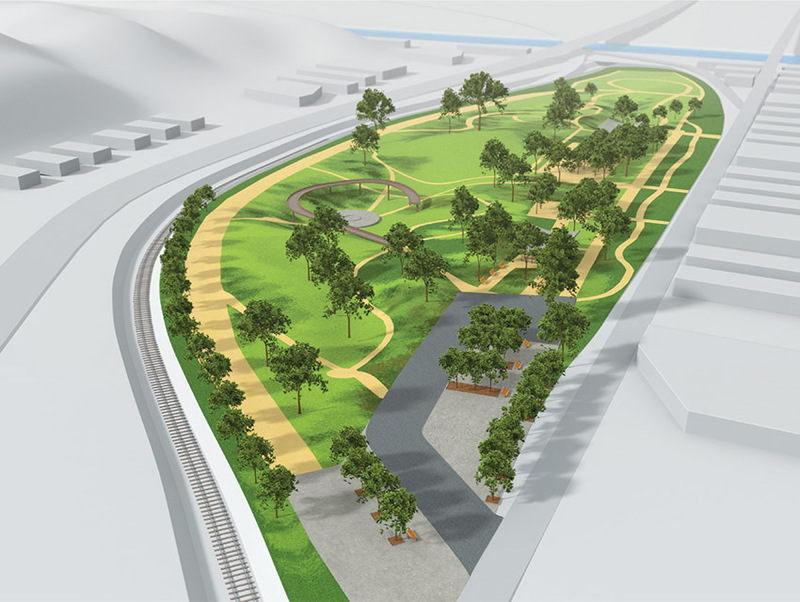 The transformation trickling along the L.A. River will pick up momentum with the spring debut of Los Angeles State Historic Park. Covering 34 acres, the zeppelin-shaped plot stretches from Chinatown to the river’s edge. A temporary version opened in 2006 (the year before Rio de Los Angeles State Park went live a few miles upstream), hosting the HARD and FYF music fests before the full overhaul began last year. At its center a crescent-shaped observation deck arcs around the footprint of the roundhouse, where locomotives were serviced when Southern Pacific’s River Station stood there in the late 1800s. 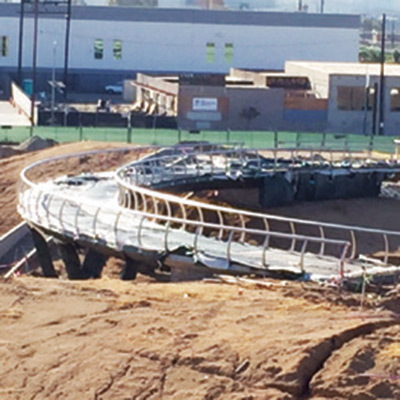 An amphitheater will ring the granite turntable that redirected locomotives. Buried eons ago, it’s still intact. “If we’re looking to uncover anything in a future phase, it would be that,” says Sean Woods, the superintendent of California State Parks in Los Angeles. When he began the project in 2001, people knew the parcel as “the Cornfield,” so named for the stalks that grew from kernels dropped by passing rail cars. For one season in the aughts, artist Lauren Bon paid tribute, sowing a crop on-site and calling it Not a Cornfield. Now she’s constructing a giant waterwheel on a neighboring plot that will irrigate the park. 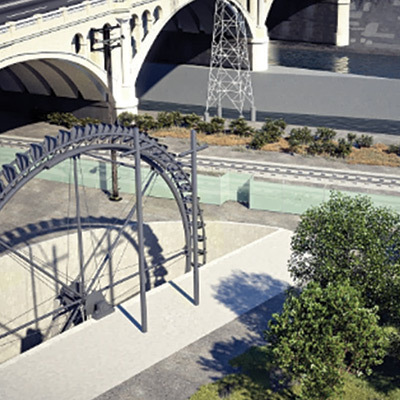 Called La Noria, Bon’s 72-foot-diameter steel creation will pay homage to the waterwheels that once plied the river. An inflatable dam will pool water in the flood channel when the wheel starts spinning in 2017. 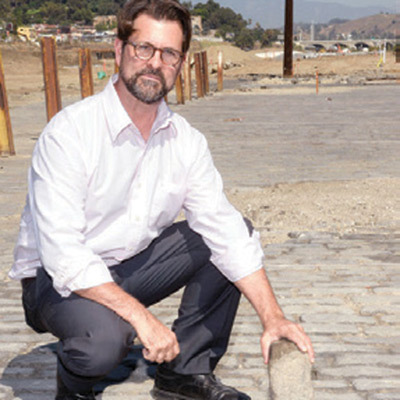 Woods (pictured) says this procession of long-buried pavers will lead to Cargo, a forthcoming restaurant and beer garden within staggering distance of the Gold Line. Down the line, Woods hopes to give the elevated platform at the park’s center an upgrade by linking it to a bridge that extends over the Gold Line to North Broadway.